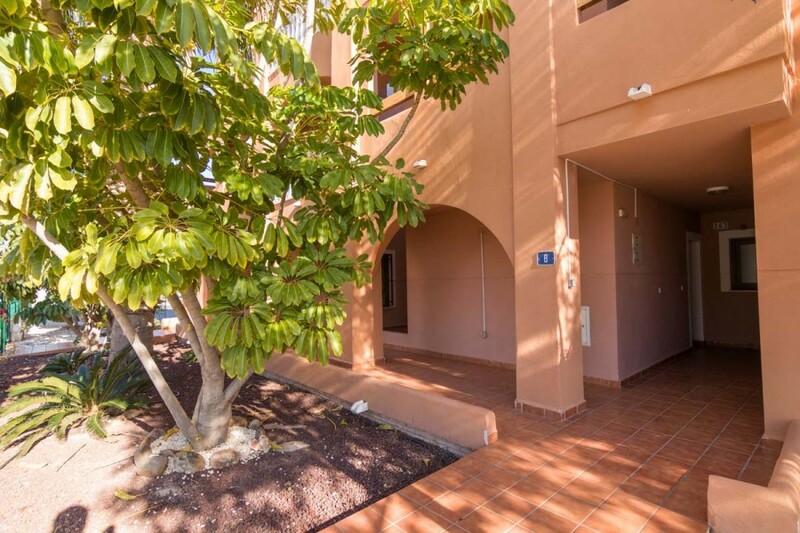 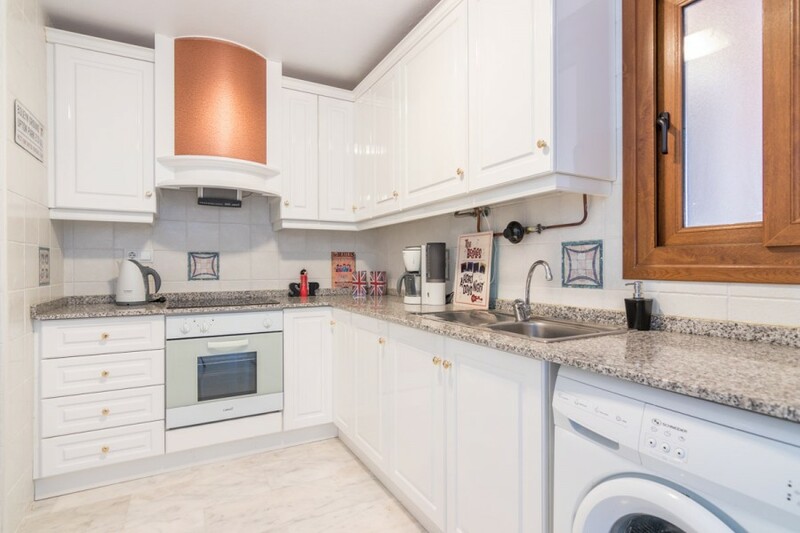 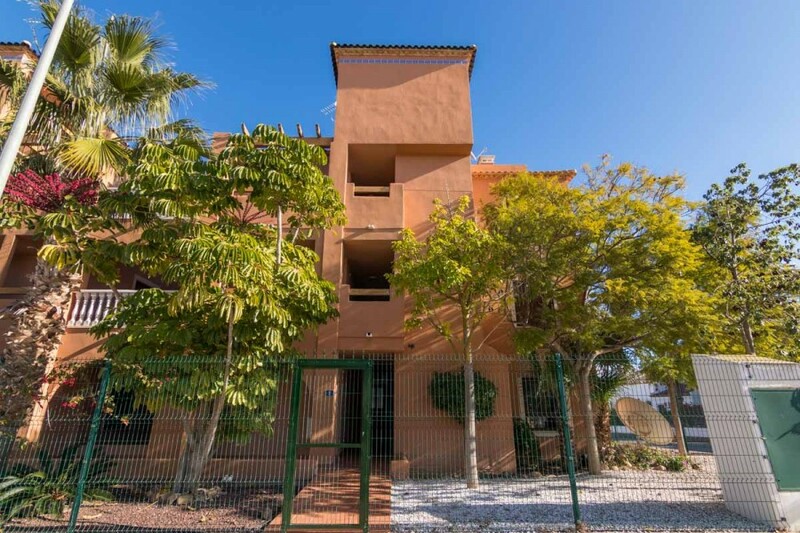 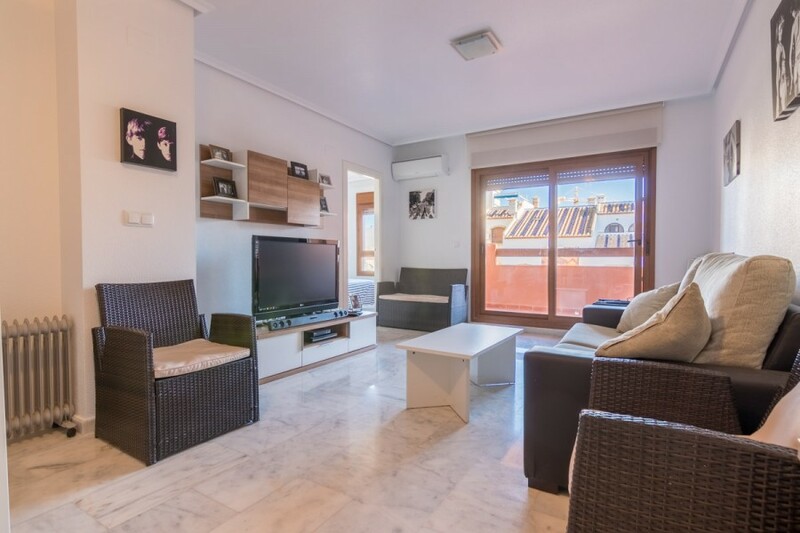 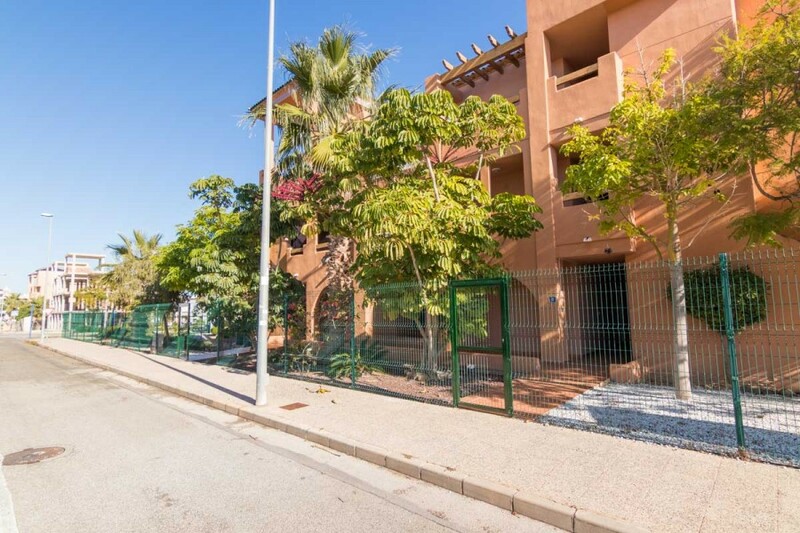 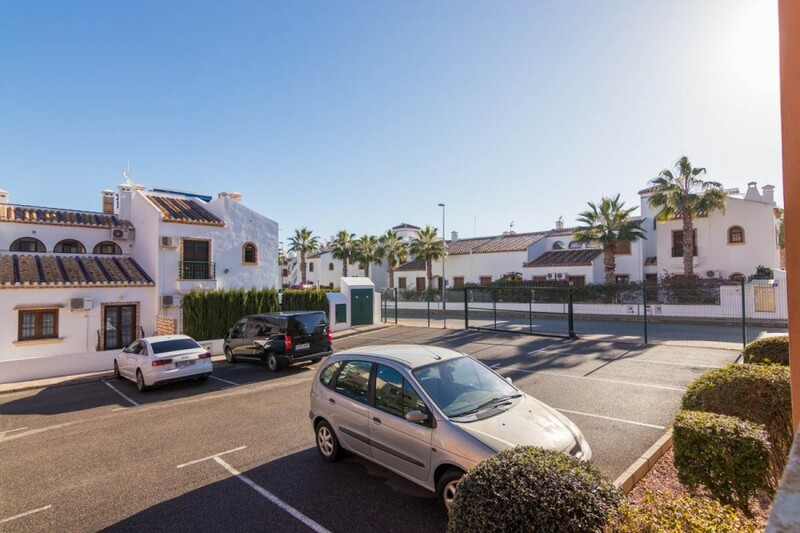 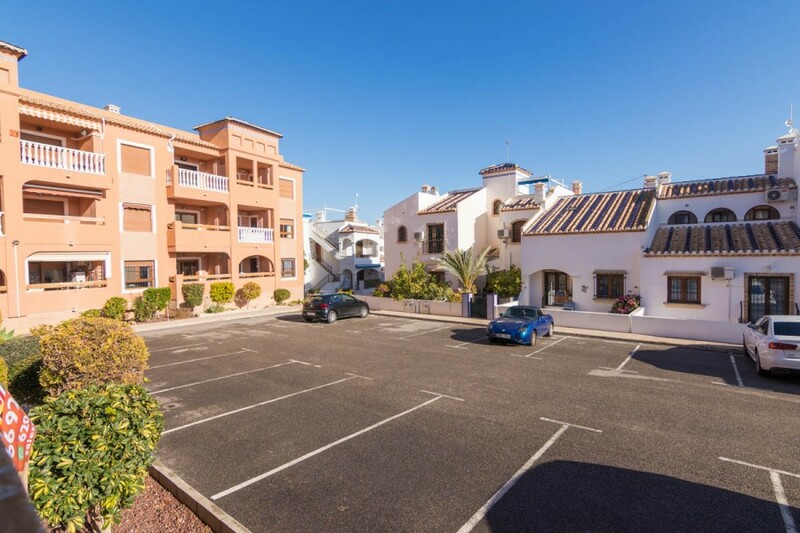 Spacious apartment with 2 bedrooms and 2 bathrooms in Residencial Las Violetas. 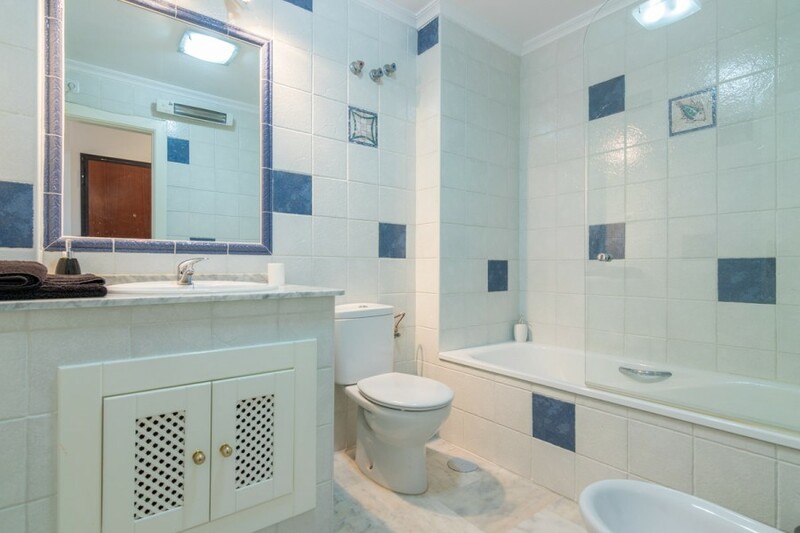 With marble floors throughout the building, high furniture and granite countertops, with impressive quality finishes, spacious rooms and careful distribution. 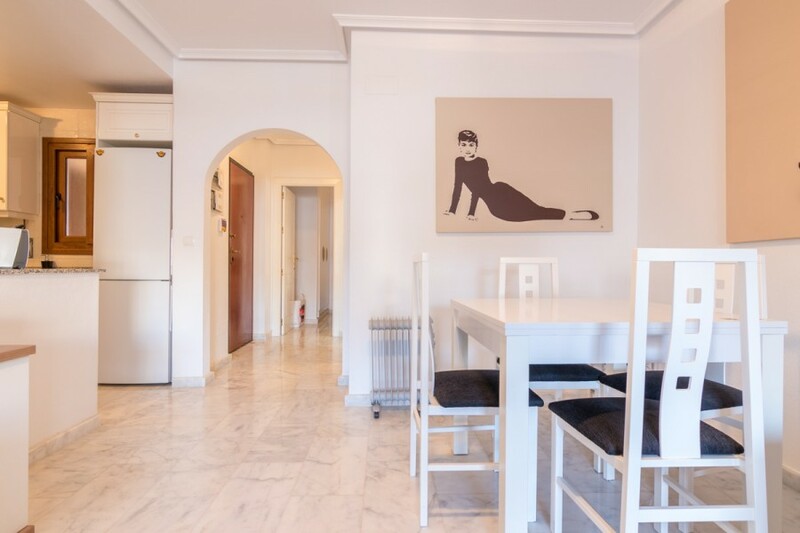 From the main wooden door there is access to a corridor leading to the living room - open plan dining room with high glass doors leading to a good sized terrace. 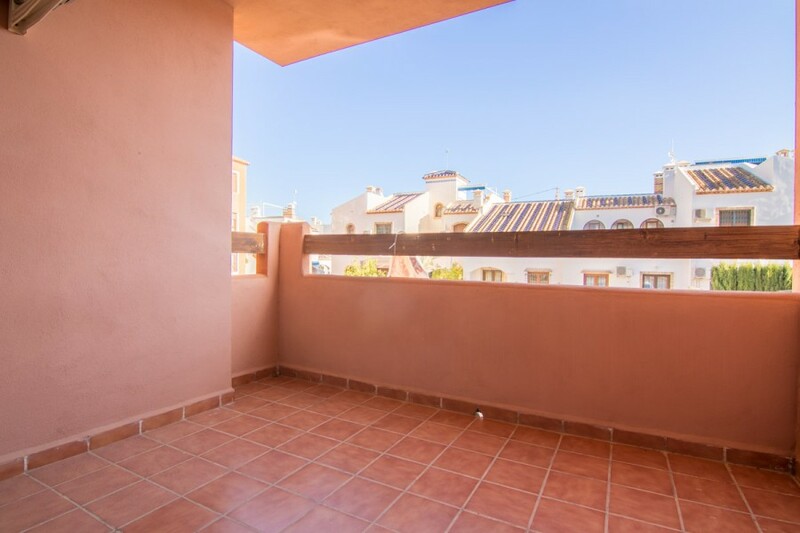 This terrace gives you the opportunity to use the space for a table and chairs and enjoy the sunshine of Spain. 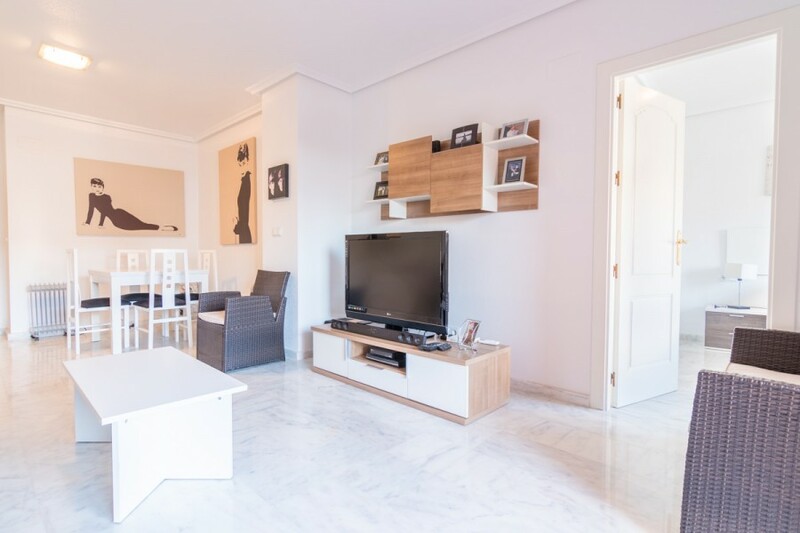 From the same lobby you have access to the spacious kitchen, where you will find the necessary storage. 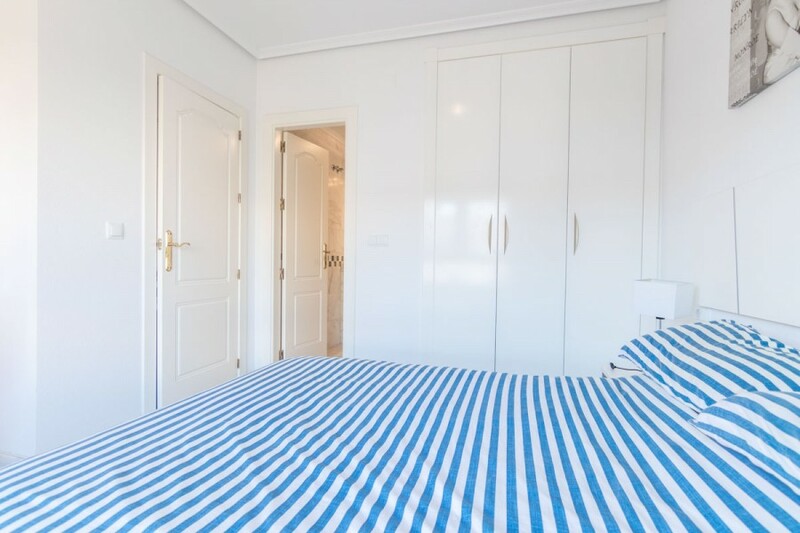 The rooms are very bright and have built-in wardrobes. 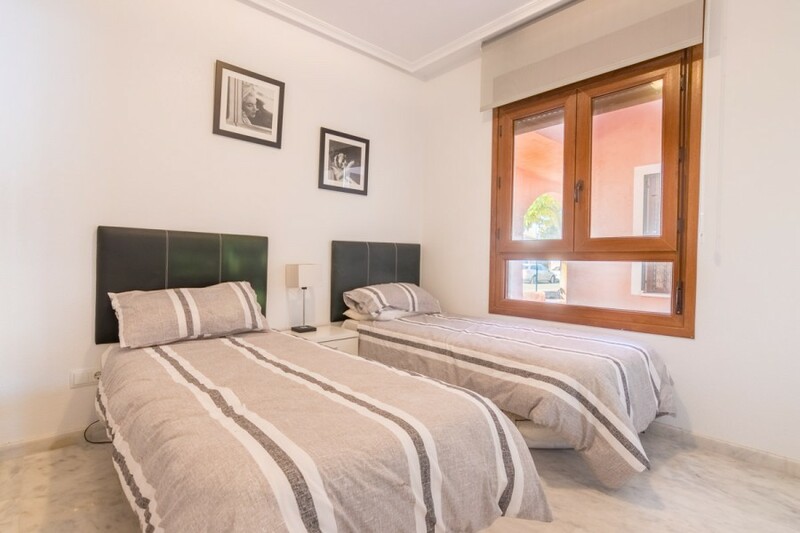 Both rooms could fit double beds. 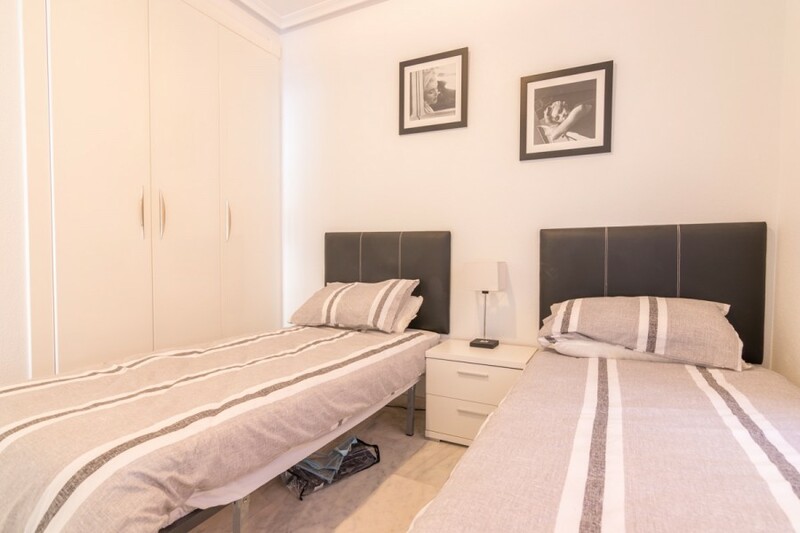 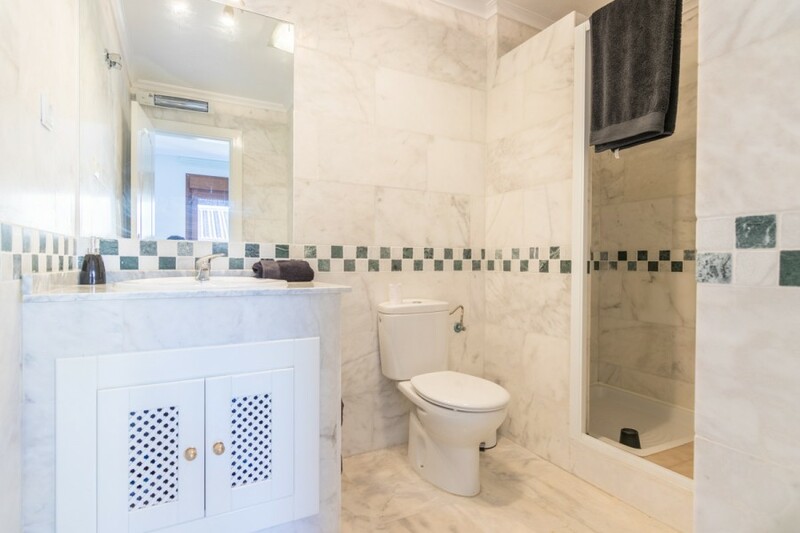 The master bedroom has a bathroom with shower, wc and washbasin with wardrobe included, while the other bathroom also has a bidet, bathtub, wc and washbasin with a low, spacious and well-lit unit. 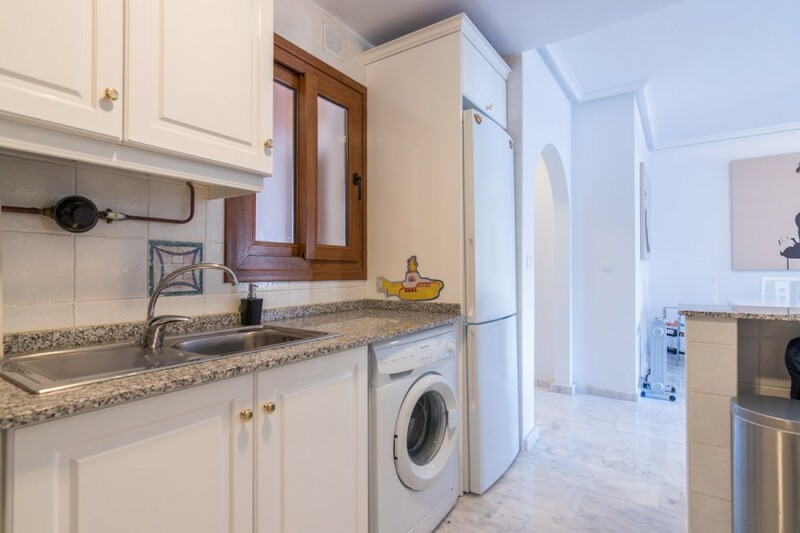 This apartment is a ground floor, but it is acceded from the stairs of the building to an ample communitarian solarium. 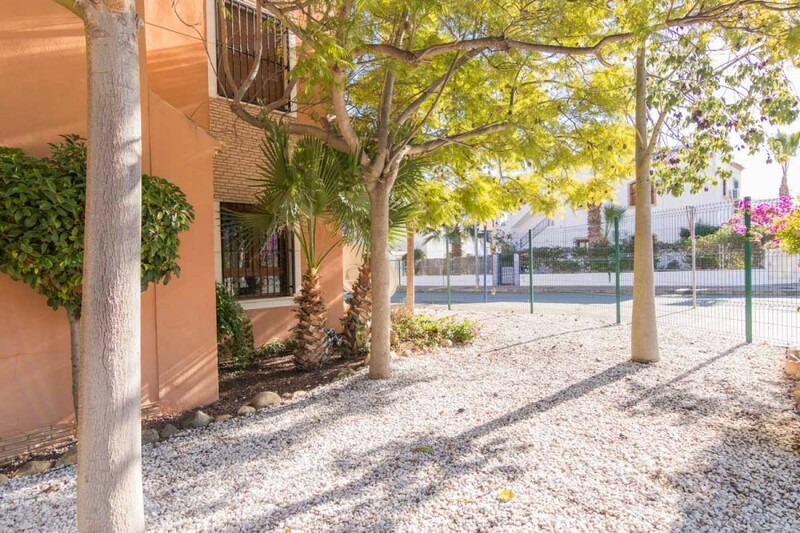 The residential is surrounded by attractive gardens and a fantastic new communal swimming pool.